Ms Wall was last seen alive on 10 August as she departed with Mr Madsen on his self-built underwater vessel. On Wednesday a headless torso found in waters off Denmark was identified as belonging to Ms Wall. DNA from the torso - which had been weighted down with metal - matched that on Ms Wall's hairbrush and toothbrush. Who is DIY submariner Peter Madsen? Mr Madsen initially said he had dropped her off safely near Copenhagen, but then said she died in an accident and that he had "buried" her at sea. He denies killing Ms Wall and was initially charged with negligent manslaughter. Danish police believe Mr Madsen deliberately sank the 40-tonne submarine hours after the search for Ms Wall began. Her partner had reported that she had not returned from the trip. Part of her remains were found on a beach south of Copenhagen on Monday. 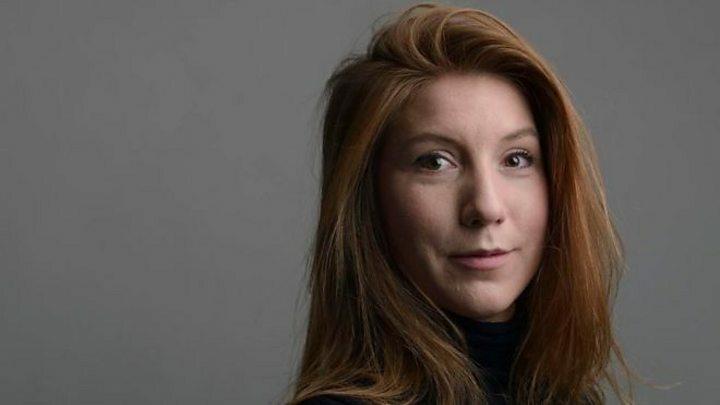 Peter Madsen: Who is Kim Wall's killer?